Wet/dry filter bag for VAC series 9 Gallon dust extractors. Filter bags act as a primary filter, capturing large pieces of debris and increasing the life of the main filter. 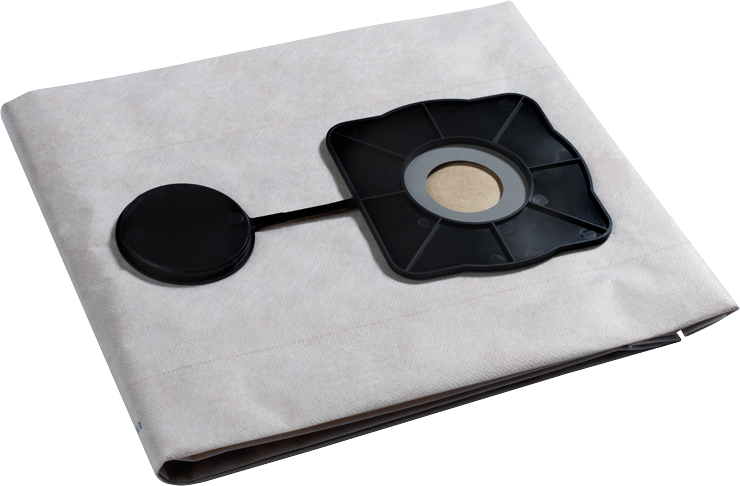 Using a filter bag is the most efficient way to dispose of the captured dust and debris. Each filter bag comes with a port cover which securely closes opening of the filter bag and keeps the dust and debris inside during the disposal process. Wet/dry bags are ideally suited for usage with slurry type materials.